First step. Let’s start drawing a rolls royce from the roof. 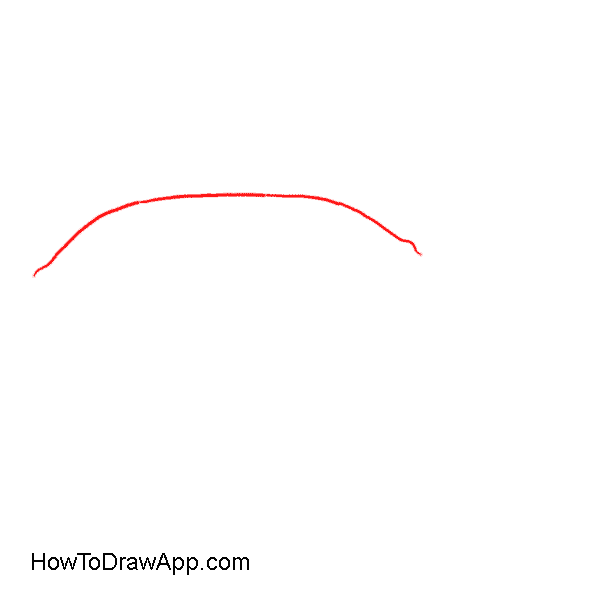 Draw a trapezoidal line in the upper part of the paper sheet. 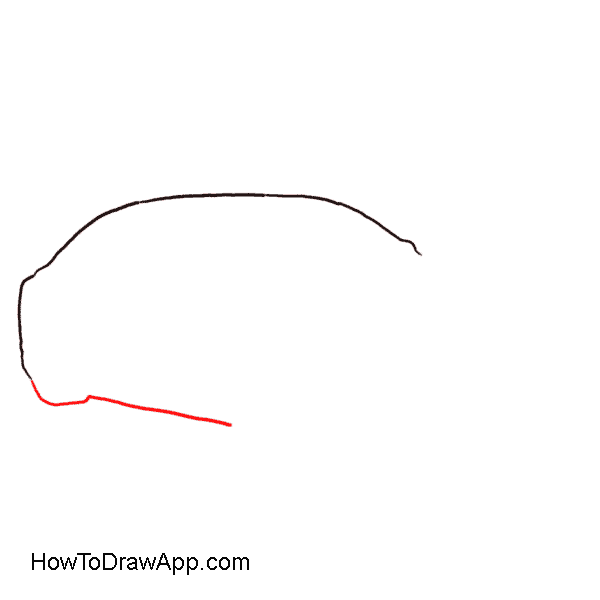 Draw a vertical line of the trunk. Draw a semi-circle line to outline the wheel and a slanted horizontal line at the bottom that will connect two wheels. To mark the bumper in front use a horizontal line going up at a small angle. Draw the final line for the car body that bends down at an angle of ninety degrees. Draw a rectangular box with smooth angles to outline the details of the bumper. Draw another square box at the other side. 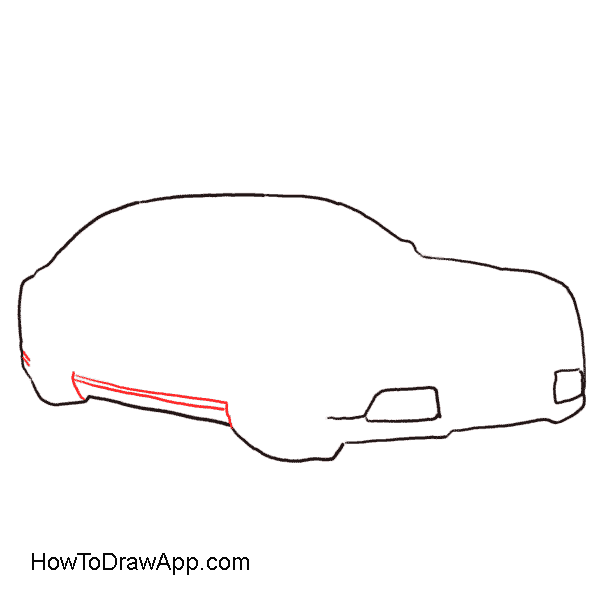 Use parallel lines at the bottom to show more volume of the car. Draw bow-shaped lines on the car body for the wheels. 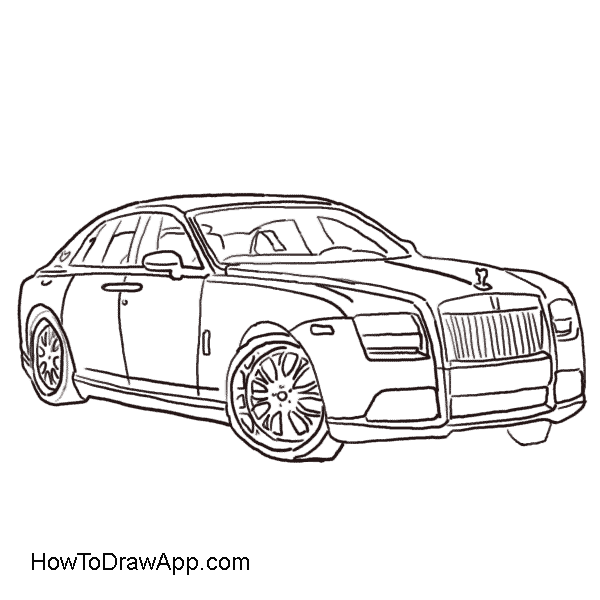 Draw a windscreen of the rolls royce. 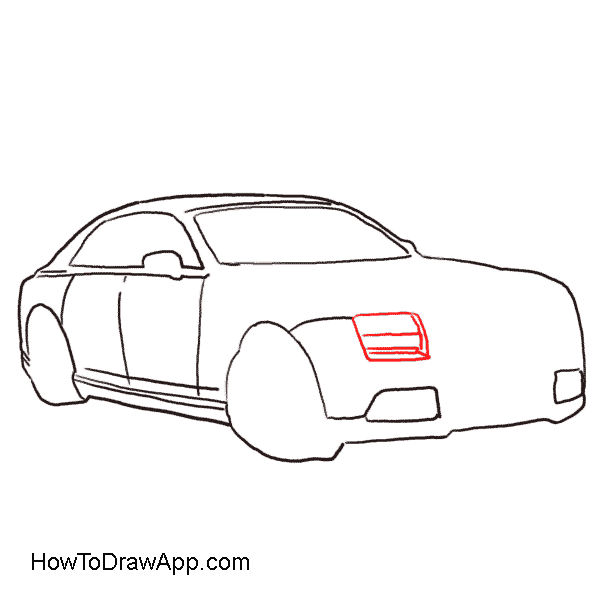 Draw 3 vertical lines to mark doors. Draw a side glass window above. Draw two almost parallel lines to separate the hood of the car. Draw a rectangular in the middle of the front to indicate the radiator. Draw the interior design of the rolls royce. Draw another pattern on the wheel disk. Add more details to the drawing. Add more lines to separate parts of the rolls royce. 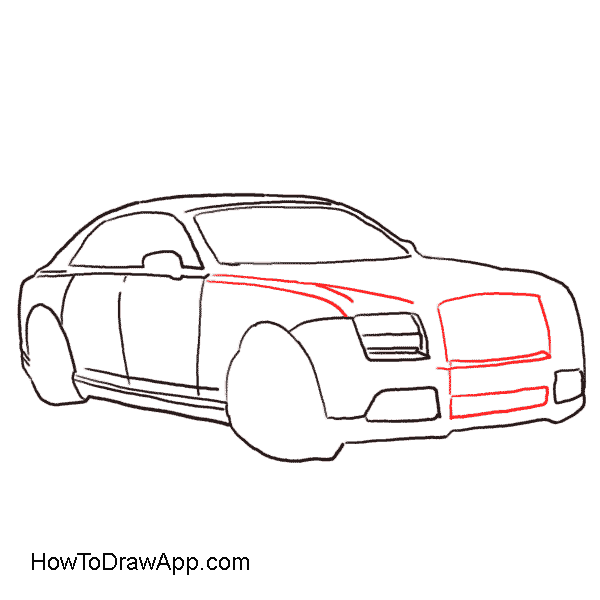 Draw several vertical lines in the radiator box to indicate the radiator grill in front. 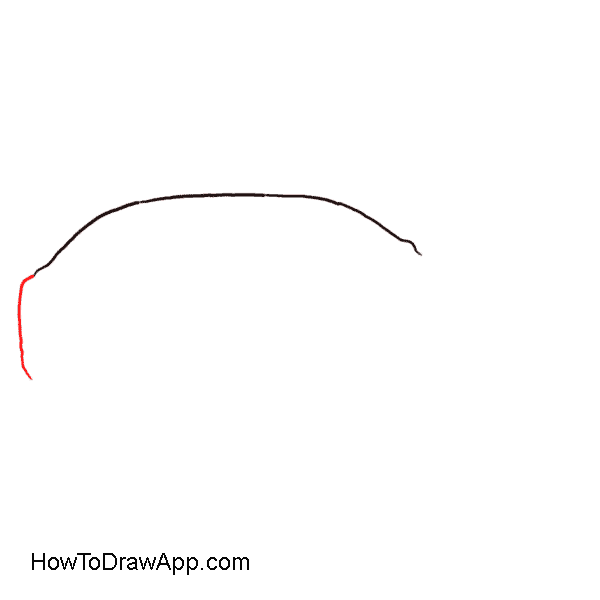 Draw one more head lamp of the car. 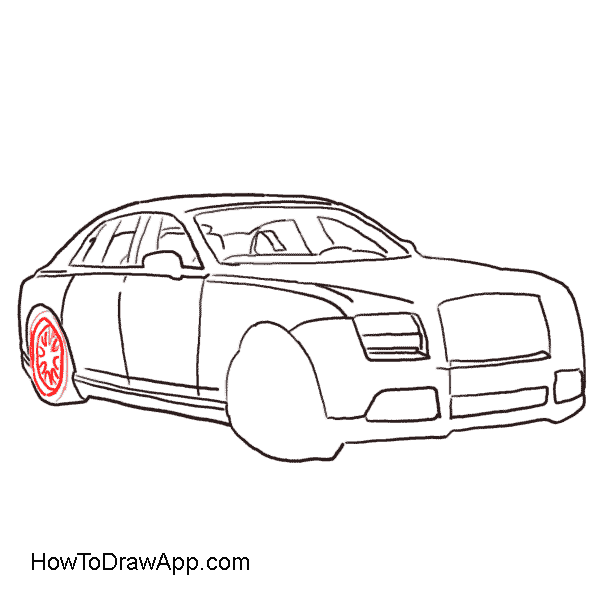 Your drawing of the rolls royce is almost done. Now you can paint it. 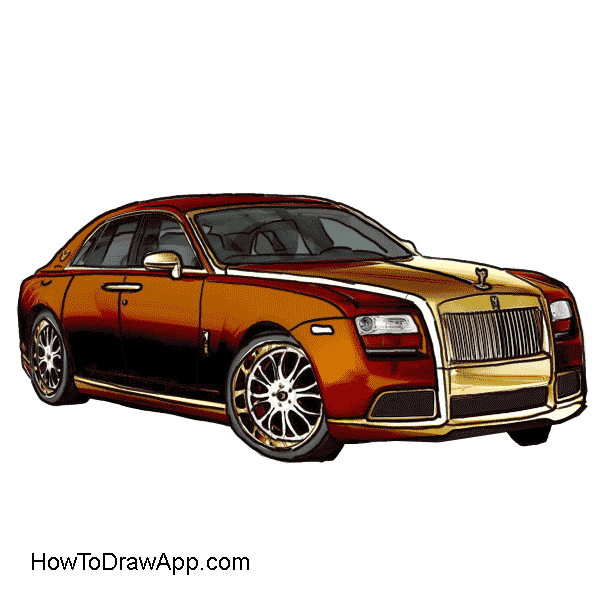 For painting a rolls royce, use beautiful gold colors and shades.